Do you fancy yourself as the next Psy rocking the K-pop scene? -We are FUN! Dancing is for everybody! Regardless of your current level of skill and experience we will ensure that above all else, you will have fun learning a new social skill that will benefit you for many decades to come! partners! Who knows, maybe you will meet that special someone on the dance floor. -We get to dress up! 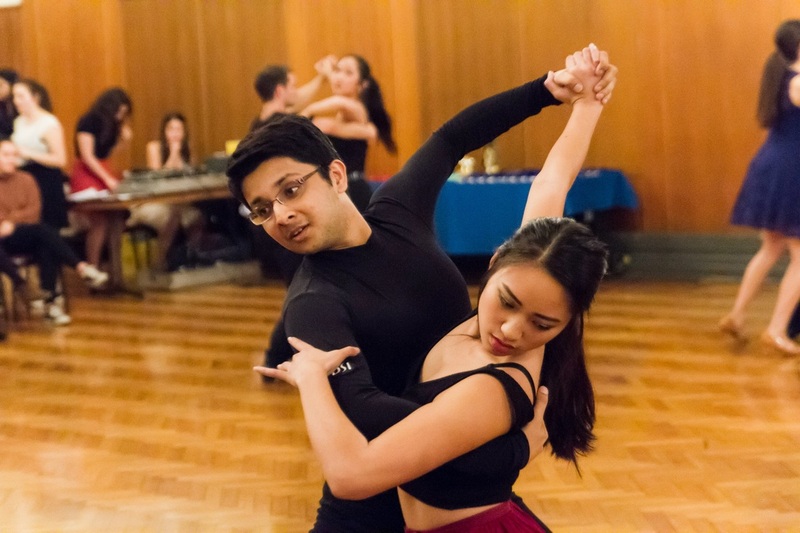 Not everybody is into skin-tight spangly outfits, but once you get bitten by the Dancesport bug you will want to show off your style like a pro! At MUDC we have something to suit every taste. Ballroom Dancesport is officially divided into two styles: Modern (also known as "Standard") and Latin American (often shortened to "Latin"). In addition to these styles, MUDC also offers Street Latin (Salsa, Bachata), Swing, Argentine Tango, Hip Hop and K-Pop.Anyone who has done a few laps of Quickstep or a Swing routine can attest to the athletic challenge of Dancesport; the graceful performance of a Foxtrot or a sensual Rumba is a culmination of many hours of strenuous practice that will tone every muscle in your body! In fact, Dancesport now recognised by the International Olympic Committee as a true sport, characterised by the requirement for consist physical strength, agility, co-ordination, stamina, a high level of fitness, discipline, teamwork, grace, style and musical interpretation.Dancesport provides you both the opportunity for developing athletic discipline of the body and mind, as well as artistic creativity through musical interpretation, costume design and choreographic programming. So what are you waiting for??? Sign up and in no time we will have you up and dancing with the stars like a pro! 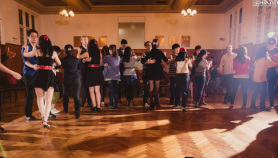 The Melbourne University Dance Sport Club (MUDC) was founded in 1993 by Mr. Barrie Mar. He felt it important to create a dance-sport community within the University and for over the past 20 years, MUDC has been aiming to keep dance-sport alive in campus. Classes are usually held over the course of a semester, taught by professional dance instructors. Casual passes are available for people who wish not to commit to a whole semester of teaching. For a list of styles we do as well as details on class times & prices, please visit our Timetable page. Not sure what dance styles suit you? At the start of each semester, all classes are FREE & open to all! Take this chance to explore MUDC & try out different styles or genres! There will be plenty of social events through out the year & ample of opportunities for you to refine your dance skills. Examples include Swing Social, Salsa Nights & Latin Social. Apart from dance socials, we have an annual Showcase towards the end of the year where students show off what they've learned throughout the year. Finally, there's the Intervarsity Competition where MUDC and MDS (Monash Dance-Sport) go head to a head in a dance-sport competition. The winning school takes home the coveted Intervarsity cup (which is currently under Melbourne's possession, yeah!). Be sure to check our homepage and Dance Events regularly for new events! Also remember to like our Facebook page for the latest surprises updates! Classes & socials aside, we also organize events such as our annual Camp, which features dance lessons at a myriad of Victoria's most frequented camp locations followed by bonding between members. There is also an annual Dinner Dance towards the end of second semester to help celebrate the end of the year. Dinner Dance is a great opportunity to take a brief break from your uni studies and enjoy a night of dancing before exams.